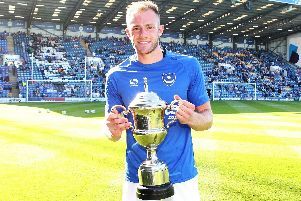 A date has been set for Pompey’s FA Cup second-round trip to Rochdale. The clash will be broadcast live overseas – with the Blues receiving a £12,500 windfall. There’s also £54,000 up for grabs for the side that reaches the third round of the historic competition. Pompey cruised to a 4-0 victory at Maidenhead in the opening round, while the Dale defeating Gateshead 2-1.